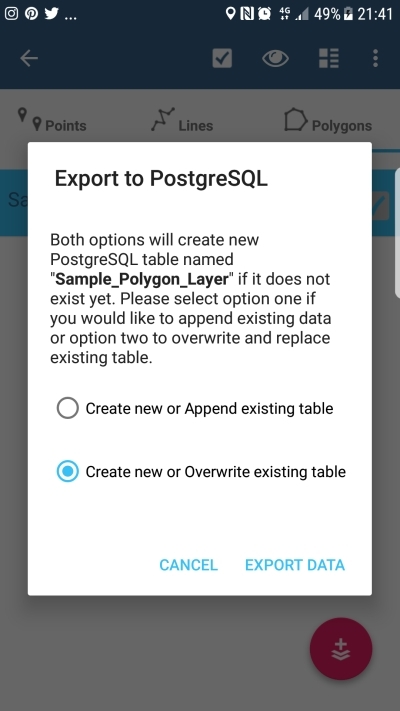 Starting from version 6.0.6 Mapit GIS is capable of exporting the data directly to PostgreSQL database. This facility is available as an Google Play one off in-app payment for a small fee. 2. 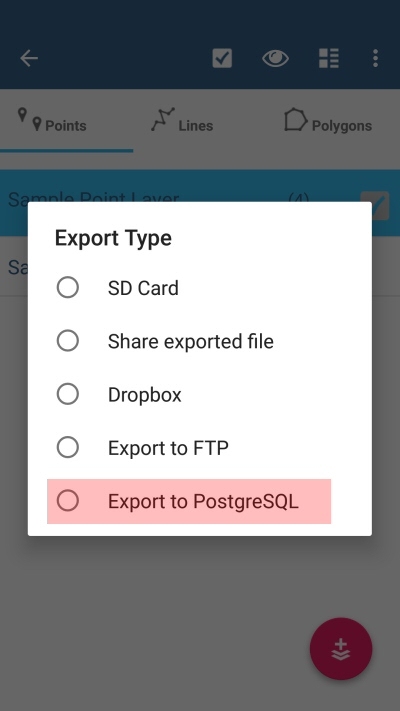 After selecting the layer in ‘Layers Management’ section please chose ‘Export’ from the context menu and select ‘Export to PostgreSQL’ option on the list. 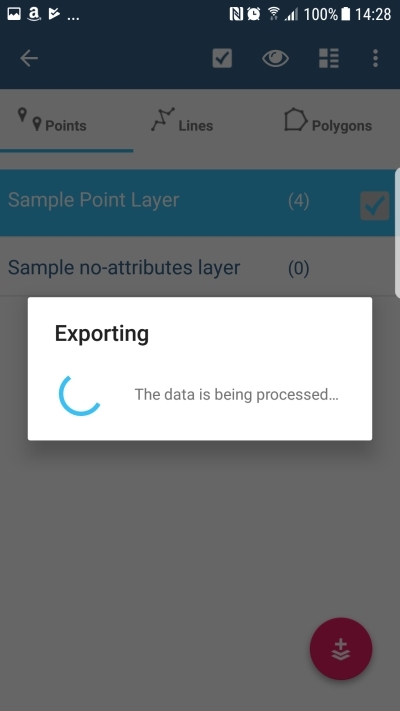 Create new or Overwrite existing table – please select this option if you would like to re-create the spatial layer each time you export the data. That would physically DROP existing data in the database and replace it with the layer’s records from Mapit. 4. Press ‘Export’ button to start the process. Immediately after successful export operation you can access your data e.g. 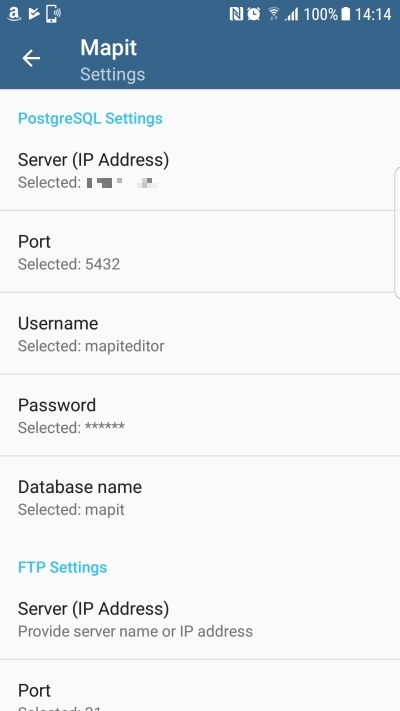 on the desktop PC and qGIS connected to the same database as Mapit GIS.